Before I continue with Cosmological constant and quintessence model in Rg Veda, I thought a background on gender difference could help put my arguments in proper perspective as I translate the slokas in particular ways. The gender differentiation in living beings and in specific human beings is a subject of great intrigue and interest. Various philosophies have been written about it. What is the basis of this gender difference in reality..? Can we make some rational sense of it..? In Sanskrit every noun has a gender. There are three genders. PuMling (Masculine), Striling (Feminine) and Napumsakaling (Neuter). The selection of gender for different nouns appear arbitrary. But in my understanding they are not arbitrary. They are well defined. PuMling (masculine gender) describes the ‘Sthula’ or Gross or physical or external representation of an object or being. Sthula is massive, physical, gross or external representations of objects or beings. Striling (feminine gender) describes the Sukshma or subtle or internal property of an object or being. Suksma is subtle, describing an internal and non-obvious property of objects or beings. Napumsakaling (neuter) describes the very ‘obvious’ reason behind the name for the object and hence become the cause/means/kArana representation of object or being. 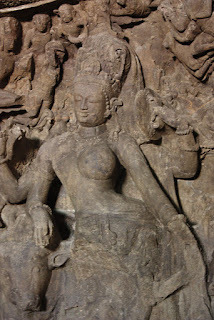 The kArana generates the Sthula or Sukshma representations. Residence, House and Home indicate similar but not same things. Home indicates a place has seized our mind. Residence indicates a place that we simply reside. House indicates a physical structure. In Sanskrit Residence is Vasati (in which we reside/live), House is Alaya (a structure of receptacle) and Home is Grha (that which seizes our mind). In Sanskrit these are three different genders. Grha, which is equivalent to ‘home’ means ‘seizing’ (our mind). A place that seizes our mind is our home. It has captured us and we are impacted by its fortunes and misfortunes. Our grha may or may not have a ‘physical/stula house structure’ (Alaya). It may or may not have the sukshma or internal property to be a residence (vasati). But it is a place that has seized us or we have seized the place and are using it. Due to its obvious reason of the name (of seizing our mind), Grha describes the kArana or ‘cause’ or ‘reason’ for a home. When we build a gross or physical or stula structure on the place that we seized (grha), it is called Alaya. Alaya, which means ‘house’ or a external physical structure, is masculine gender. Alaya represents the ‘physical’, external, gross, roughly defined structure (sthula), the ‘house’ in a particular place. Hence it is masculine gender. When this Alaya is fitted with facilities that are needed to live, it can be said to have acquired the Sukshma or internal property to be any ‘Residence’ or ‘Vasati’. Vasati, which means residence (where people reside), is feminine gender, as it describes the sukshma or internal property of a place. As one can see, the kArana (seizing our mind) becomes the ‘basis’ for creating the Stula (House) and Sukshma (Residence). So sthula (physical) representation becomes masculine gender, Sukshma (internal property) representation is the feminine gender and ‘kArana’ representation that is needed to create the sthula or sukshma is the neuter gender. pava means wind. It is masculine as it indicates wind a gross or stula object..
pavana is used in two different ways. First pavana is blowing wind. Second pavana is purifier due to blowing nature (as blowing wind purifies by removing the chaff). First pavana in the sense of blowing air/wind is masculine as it indicates a ‘gross’ or ‘physical’ or ‘sthula’ item. For eg., ‘Vital air’, ‘breath’, ‘air’, ‘breeze’ are addressed as pavana (blowing wind) and these are masculine. It is because here they indicate simply blowing wind in some form. Second pavana in the sense of purifier as blowing wind takes away impurities. This could be neuter or feminine. When purification due to the blowing nature is obvious reason (kArana), the objects are neuter gender. If purification is an internal property or suskhma then those objects are feminine gender. For eg. flowing water drives away the dirt like blowing wind. Hence it is called pavana. Since water’s action of purification is obvious, it is neuter gender. A Seive or strainer separates the impurities when things flow through them. Hence they are purifiers or pavana. Since their action is obvious, they are neuter gender. While water carries away the dust or a sieve filters away the dust, a broom directly does not carry away or filter away the dust. It can be used in such a way that the dust can be segregated out. Cleaning or purifying with broom has a sukshma or using the internal property of broom and depends on how one uses it. Hence it is called pavani as it requires a Sukshma. Hence it is feminine gender. A citron juice or citron has the property of removing impurities like blowing wind. But using it requires a Sukshma and not as obvious as water. Hence is addressed as pavani and feminine gender. pAvana indicates those objects that are uplifted/progressed/driven by the wind. Remember pavana indicated blowing wind. Hence pAvana is fire that is driven/progressed by wind. pAvana also indicates those objects that drive purification in some way (apart from blowing/flowing). Remember pavana indicated those objects that purified by their blowing/flowing nature. First pAvana are those that are driven/uplifted/progressed by the wind. In this sense pAvana is used to indicate this upliftment, progress or driving by wind. In this case it is masculine gender as it indicates the gross/stula object being driven/uplifted by wind. For eg. Fire/Agni is pAvana as it is uplifted/progressed by the wind. Incense or fragrance is uplifted/progressed by the wind. Hence these are called pAvana. Since pAvana indicates items that are directly acted on by wind, pAvana in these cases is masculine gender. Second pAvana are those that are drive purification through their working. When this driving/progressing the purification is obvious in objects, they are neuter gender. If it is an internal property or sukshma then those objects are feminine gender. For eg. water purifies not just by its flowing nature (and hence pavana), but also its working nature (pAvana). Hence it is pAvana. It is neuter as water purifies is very obvious and the reason it is called pAvana is very obvious. For eg. Cow-dung drives purification by its working nature. Hence it is pAvana. It is neuter as cow-dung purifies is very obvious and the reason it is called pAvana is very obvious. A Cow drives purification. But it is not as direct as cow-dung or cow-urine. Here driving the purification is a Sukshma or internal property. Hence cow is called pAvani, a feminine gender. A Tulsi drives purification. But it is not as direct as cow-dung or cow-urine. Here driving the purification is a Sukshma or internal property of Tulsi. Hence Tulsi is called pAvani, a feminine gender. River Ganges is said to drive purification. The purification that it is said to drive is just beyond the body purification and internal purification. Driving that internal purification is a Sukshma or internal property. Hence River Ganges (or any punya nadhi) is called pAvani, a feminine gender. piTha represents a seat. It is neuter gender. It is the ‘Karana’ or one that explains the ‘cause’ of ‘reason’ around the object that serves as a ‘seat’. An object as a seat is a very obvious representation. Hence it is neuter gender. piThaka represents a raised seat like a palanquin. It is the ‘Sthula’ or gross (physical) representation. Here the ‘seat’ is stressed in relative to other objects. Hence it is a ‘Chair’ or bench or stool or palanquin in which someone is sitting, where the ‘Seat’ of the object is grossly represented. It is the masculine gender. piThika represents a ‘base’ or pedestal in which an idol is situated. But as a ‘base’ or ‘seat’ of an idol, it becomes internal to idol. It becomes a property of the idol merging into it. It is the ‘Sukshma’ representation. It is the feminine gender. In all these three cases, it is the same ‘seat’. When seat is raised and gross it is masculine. When seat is more subtle and internal it is feminine. As just a ‘seat’, the original reason, it is the neuter. Candra represents the ‘moon’, the satellite of earth. Candra as a ‘satellite’ is the sthula or gross (physical) representation of a body orbiting around. It is masculine gender. Mati is mind or being conscious. Amat is un-minded and being out of mind. Moon is also known as ‘amati’. Amati is equivalent to “Lunar’ (and becoming ‘Lunatic’). Moon is known to make people go ‘out of mind’. Amati is the Sukshma or subtle representation of moon that makes one go out of mind, describing a property of moon. It is feminine gender. Moon or Candra is said to have come out from the churning of the Kshir Sagar during the Samudra Manthan. Hence it is also known as ‘‘SamudranavanItaka’, which means the fresh butter that comes from the Ocean. This is the ‘Karana’ or the ‘Cause’ or ‘Obvious’ representation of the ‘Moon’. It is the neuter gender. When moon is seen as a satellite it is Candra. Satellite is a gross, physical description. It is sthula and hence masculine. When it is seen through its property of making people go out of mind it is amati. It is subtle, mental and internal. It is Sukshma and hence feminine. When seen as a fresh butter rising from ocean it is the ‘Karana’ and neuter gender. Vizva is Universe. Viz-va means which pervades or pervades everywhere. Universe is what pervades everywhere. Hence the meaning of Vizva, which is pervading everywhere is the ‘Obvious reason’ for being called vizva. Hence vizva is neuter gender. Universe can also be described as ‘Sarva-Loka’. Loka means a ‘region’ or ‘space’. Sarva-Loka means all regions. It is the physical or gross representation of the Universe. It is masculine gender. Universe can also be described as ‘Sarva-Jagat’. Jagat means which are born (ja) and moving (gat). Whatever is born and moving is called ‘Jagat’. Sarva-Jagat indicates universe by indicating everything that is born and moving, as all matter and beings are made of vibrations that are born and moving. It describes the property of those in the Universe. It is the subtle or Sukshma representation of the Universe. It is feminine gender. Purusa indicates a male. Pur indicates a wall, a rampart, a stronghold and in essence a protecting structure. uSa is dawn. ‘Pur-uSa’ is the protector/protecting structure of dawn (of the Universe). As a protecting structure, it is a ‘gross’ or ‘sthula’ representation. Hence it is masculine. Any protecting structure is PuruSa and hence is masculine. Prakrti is feminine. Prakrti is original nature or what existed at the time of creation. The original nature is said to be made of three gunas that were balanced. As indicating a particular internal nature or its property, Prakrti is a ‘subtle/internal’ or ‘Sukshma’ representation. Hence it is feminine. Parvata means that is knotty or rugged. It describes the external structure of mountain. It is a gross or sthula or external/physical representation of a mountain. Hence it is masculine. Samudra means gathering together of waters. It indicates sea or ocean. It is a gross or sthula or physical representation as it talks about gathering of waters. Hence it is masculine. VrkSa means one that covers. It indicates a tree. It is a gross or sthula or physical representation as it talks about covering (the land). Hence it is masculine. 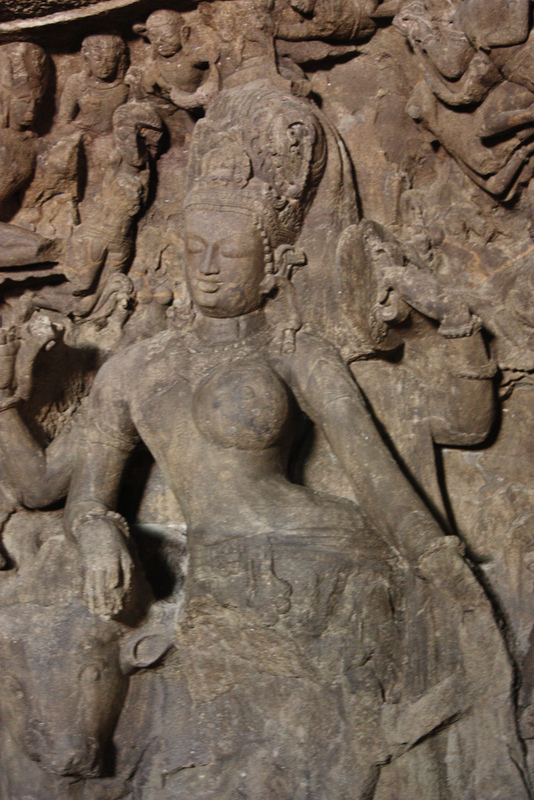 Candraka and Candaka represent the ‘moon’. It is the ‘gross’ or sthula or physical representation of moon and hence masculine. CandrikA is the property of ring or circle shaped like a moon or property of such a spot around the moon. The property of such a circle or ring or spot around Candra is moonlight. Hence CandrikA is moonlight. It is feminine. kUpa is hole, cave, hollow space. kUpi is one that has hollow space. kUpi is a bottle. Since kUpi as a bottle indicates the property that is made of hollow space, it is Sukshma and hence feminine. Similarly vAta, utpithika, kUrca, casma, patta are masculine as they describe a physical, or gross or sthula structures. paTTa is a slab or plate which is used for royal or Government orders. PaTTaka is a board or plate used for normal writing. Both are masculine as they represent a physical plate in its ‘gross’ or sthula form. PattikA is a cloth woven in a broad form in the shape of a Pattaka. It is used in the border of sarees or for writing purposes on cloth. PattikA means one that is in the form of paTTaka. Since it represents the property of cloth (in the shape of paTTaka), it represents the Sukshma or property and hence feminine. Prthivi which actually means wide expansive region (of habitation) and hence a planet. It represents the property of a planet (wide expansive region of habitation) and hence feminine. Pus is an adective for ‘causing to thrive’ or ‘nourishment/growth’ etc. Puspa is flower. Flowering is the indication of thriving or nourishment or growth. Hence Puspa is ‘kArana’ name or the obvious reason name for a flower. Hence it indicates neuter gender. Some flowers could be masculine if the flower name indicates the ‘gross’ form and some flowers could be feminine if their name indicates a property (sukshma). antar-ikSa means that is seen in-between. It is used to denote the space between the objects. Since it describes the obvious reason for the name, it is neuter gender. metal. Since Patra describes the obvious reason for these, it is neuter. pAtra are those that are made of light-weighted ones. It could be vessels made of light sheets of metal. Since pAtra describes the obvious reason for the name, it is neuter gender. Since such vessels are used for holding materials, people who can hold knowledge or information are said to be pAtra (capable of holding information or knowledge). In general surya is masculine. But suryA is feminine as suryA represents the property of Surya. Candra is masculine while candrA is feminine as candrA represents the property of Candra. Aditya is masculine but AdityA is feminine as AdityA is the property of Aditya. One that is made of mud/clay is mRRtikA and hence feminine as it indicates the property of being made in clay. In my understanding, the gender differentiation (the differentiation between Sthula/Masculine, Sukshma/Feminine, kArana/Neuter) started in the very early physics itself. For eg., Energy (Shiva) and Momentum (Shakti) depict a masculine and feminine characteristics. Energy is physical. It is a gross or sthula as its form can be seen everywhere. Momentum is the inherent and internal property of Energy. Momentum is the Sukshma characteristic of energy. Shiva is Sthula, Shakti is Sukshma. Energy is masculine, Momentum is feminine. In the long years of homosapien evolution, the Gross or sthula form is the body or physical capabilities part of human beings and Sukshma is the ‘mental’ capabilities part of the human beings. The real ‘property’ or Sukshma of homosapiens is their mental prowess or intellectual capabilities. Thus those homosapiens that have high physical capabilities (Sthula) are masculine and those that have high mental capabilities (Sukshma) are feminine. Neuter are a mix of these capabilities in various proportions. Thus homosapien males are endowed with more physical capabilities and females with more mental capabilities. In civilizations that evolved on plains, river valleys, deserts etc, physical prowess played a greater role in sustaining the civilization than mental prowess. Thus most civilizations became patriarchal and male dominated. In civilizations that evolved in mountainous regions where apart from physical prowess a greater mental prowess is needed to sustain life, civilizations became female dominant and matriarchal. But Industrialisation changed it. Industrialisation triggered a new way in which mental effort started becoming as valuable as physical effort. This enabled women to assert themselves as their roles started evolving. As the society became more and more knowledge based, mental effort becomes much much more valuable than physical effort. This has lead to ever increasing women power. The gender gap that we see in the society today is the result of this need for physical and mental prowess. When societies required raw power, men became dominant. As society becomes more knowledge base, women power have risen. In our current societies, dominance of women will rise more and more as knowledge evolution picks steam and eventually women will be the dominant gender compared to men all over the world. In fact men would develop more mental prowess, become more feminine (with more mental capabilities), while in comparison women may not develop that much physical prowess as the need for it does not exist much in current societies. Our planet is going to be more feminine, more sukshma or more knowledge based and mental capabilities based as we evolve. Neuter gender in Sanskrit are NOT ‘non-living’. Neither the assignment of masculine, feminine and neuter is arbitrary in Sanskrit, in my understanding. I have proposed here that neuter gender names describe an obvious reason (kArana) of the name (they are also the basis for creating the stula and sukshma versions) and feminine gender describes a Sukshma (internal property) and masculine gender describes a Gross (stula) structure. Many neuter names may not appear to have a kArana at first. But if investigated and understood there would be a kArana behind these neuter names. These are my theories and would need more scrutiny and reviews to be perceived as ultimate truth. My theory here does not in anyway support or oppose feminism or masculinism. I am not saying women are not destined to do physical work and have to be at home. Rather my argument is women have been always contributing to society with mental capabilities and since these were not rated well, they have been subjugated. With evolution of knowledge society, the situation has changed.